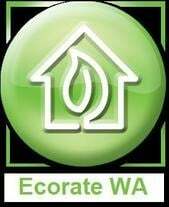 Ecorate WA is a dedicated professional business delivering quality energy ratings to designers, multi unit developers, architects and owner-builders throughout Western Australia. Low fuss & cost effective solutions. Energy efficiency assessments (star ratings). Deemed to satisfy (DTS) elemental provisions assessments. VURB Verification Using a Reference Building assessments. Save money (good for the building & your pocket) as we'll beat any written quote. Free advice & troubleshooting questions answered. Ceiling penetration, glazing & artificial lighting calculations included. NCC (BCA) energy efficiency checksheets included. Discounts for Veterans, current ADF & emergency services personnel. Multi unit & apartment specialists. Home energy audit assessing prior to buying, does the house cost a lot to run. Star ratings to help sell your home, use it as a selling point. Fastest turnaround in WA...very fast!